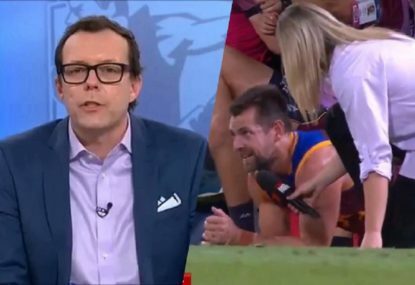 Brisbane Lions conceded just nine points and thrashed GWS Giants by 34 to continue their perfect start to the AFLW season. Kate McCarthy and Kaitlyn Ashmore kicked two goals each at South Pine Sports Complex and Jordan Membrey and Sabrina Frederick-Traub also kicked majors for the Lions, in their 6.7 (43) to 1.3 (9) victory on Saturday. 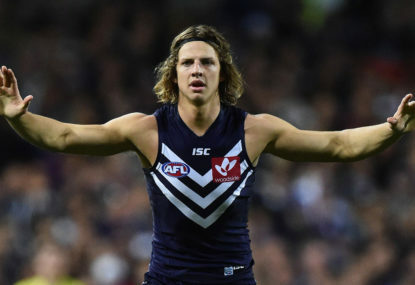 It was the Lions’ fourth victory and puts them top of the table ahead of Adelaide’s game in Fremantle on Sunday. The Giants have one draw and three losses from their four games. 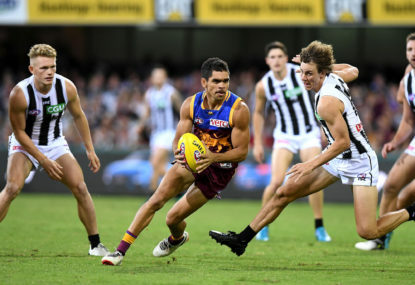 The first goal came in the second quarter, with the Giants already 6-1 down, when Membrey snapped home from close range helping the Lions to a 12-point lead at the long break. 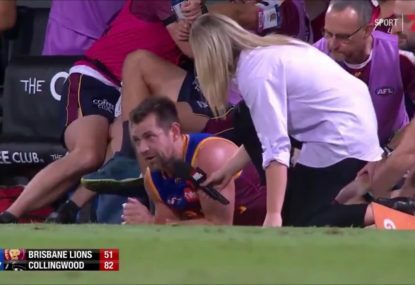 The Lions kicked three more in the third quarter to put the game beyond doubt. First, Frederick-Traub, the best-on-ground with 13 disposals and six marks, grabbed a loose ball after a ruck contest and booted home her fourth goal in as many games. Then Brittany Gibson stormed down the right wing before booting a kick deep into the forward 50 where Jess Wuetschner handballed to McCarthy inside the goal square to kick home. The goal of the game followed from Ashmore, as she chased her own kick to soccer home from a near-impossible angle in the right pocket. 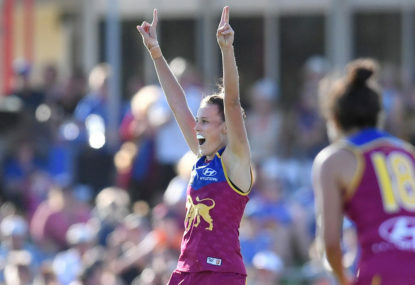 She scored another in the fourth quarter when Gibson found her behind the defence with a huge huge kick and the Lions’ No.10 booted home from close range. McCarthy snapped home from from close-range for her fifth of the campaign before Kate Stanton kicked the Giants only goal of the contest. 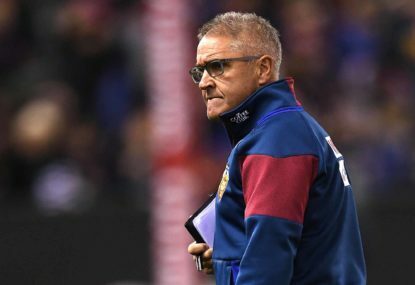 Brisbane coach Chris Fagan has hinted he may wield the axe after back-to-back losses have the rebuilding AFL club licking their wounds. 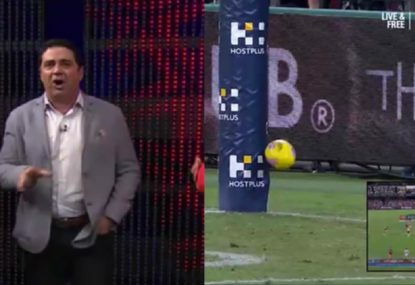 Is this mid-game interview with Luke Hodge a bit over the top? Player interviews have come a long way!